Over the years, one of the most popular roofing materials has been the asphalt shingle-a piece of felt or fiberglass that is covered in tar and then tiny small stones are literally glued onto the surface. However, over time your roof loses all its protection due to worn off stones and causes ongoing deterioration of the shingles, leading to leaks and eventual structural damage. Another type of roofing material that wears out and has to be repeatedly replaced is cedar shakes or shingles. A roof made from wood requires a tremendous amount of maintenance, upkeep, time, and costly expenses. 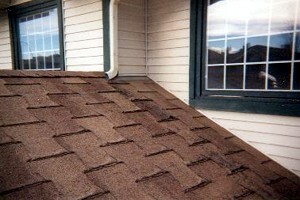 Over time, the roof becomes unsightly and the decay will be accelerated which leads to premature roof failure. In many parts of the country, clay or concrete roofing tiles are used. Because of their composition, they have their own unique set of problems, which include water intrusion due to their extremely porous make-up. The roofing tiles become cracked by moisture seeping through the pores of the tile and going through the freeze/thaw cycle. Once the tile is cracked, water will easily get through and great damage can be done before the homeowner even realizes it.